I’m Bruce Rolff and I live in New Jersey. I have been creating art for many years and moved over to entirely digital art about 15 or so years ago. First I create art because I love to do it, second it pays the bills and third it serves a purpose for others. I am mostly self-taught although when I was young I took some classes, including a bunch at some local colleges. As a child I was surrounded by artists as two of my older siblings were artists. My brother was also the neighborhood guru so we always had hippie artist types about. I wanted to be an artist at that age. After a layoff in my corporate work, I decided to try art as a full-time profession. I had sold many pieces over the years at art shows etc earning extra income but this was a decision to make it as a full-time artist. No other jobs or income to fall back on. Today this is how I earn my living. I am more inspired by spirituality, science and science fiction than in previous genres and art periods. 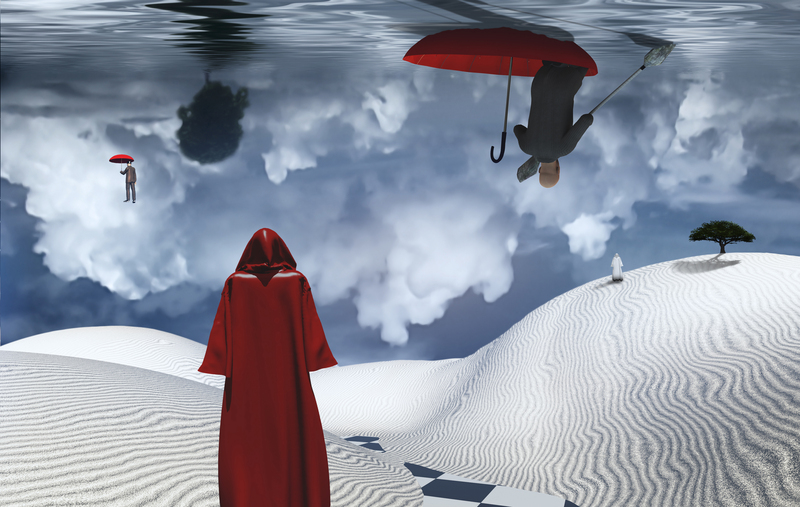 I am a big fan of surrealism, digital suits surrealism very well. Many times some or all of these things mesh and merge in my images. Things mix and mingle. I’m paraphrasing but Mashable Austrailia said my work has a hallucinogenic quality, I like that. My dad was an aerospace engineer and an inventor, yes a proverbial “rocket scientist”. He passed away a few years back and recently I have incorporated some of his technical drawings etc., in my work. Not the classified ones. I don’t have any of them. Just the ones he did for equipment he built in his home. So he is an inspiration too and part of my work now. I use my awesome computer and by far the software I use most is Photoshop, some 3D software too, Poser, Blender, etc. I also use some painting software and the one I like most for ease of use and cost is Artrage. My phone and camera have provided base images or image elements for me as well. I have even done some very basic code writing to create image elements. Complex surreal painting. The man with opened door to another world instead of his face, square elements. Spirals of time. Winged clocks symbolize flow of time. I hope it can inspire others and it can be a source of beauty or perhaps even make them think. I try to have a different viewpoint or do things a bit differently so hopefully, people can see something a little bit differently when they look at my work. But seriously, my work is being bought so I know folks like it enough to earn me a living. I love the fans of my work and am very grateful to them.